Click below to read the newest edition of Behind the Scenes. Please keep praying, especially for the necessary teachers for next school year at Santa Cruz Christian Learning Center. This was my favorite place. I wish I had gotten more pictures so you could see how beautiful it was. Like I said, Abby and I arrived a day early, but we spent most of the day resting. We’d venture out for a meal, walk around town a bit, and then head back. I worked with the hotel to get everything ready for the big group (also arriving at 3:30 am) and moved into a new room that I would share with Debbie. Everyone arrived safely, although there had been a few scary moments with some girls being followed to the bathroom and a boy’s backpack getting stolen. 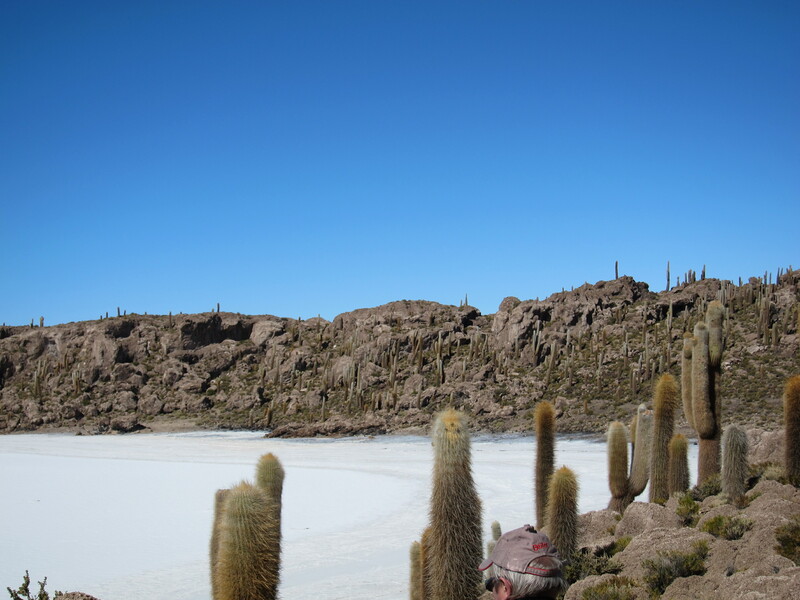 There were eager to tell me all about what I had missed of day 2 in Uyuni, but mostly they were just tired. So, we bundled them off to bed and told them to get ready to see Sucre later that morning. 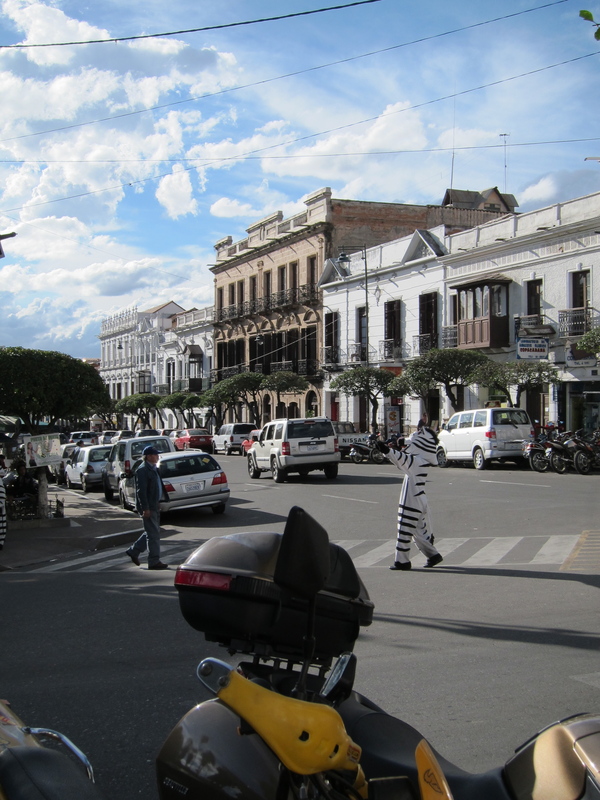 Not quite so historical, but interesting nonetheless, were the zebras that were directing traffic. Don’t ask me why. And so our journey ends with us catching the flight back to Santa Cruz the next day and then sleeping as much as possible before school on Monday. Even with the sleep, we all were exhausted but happy come Monday morning. 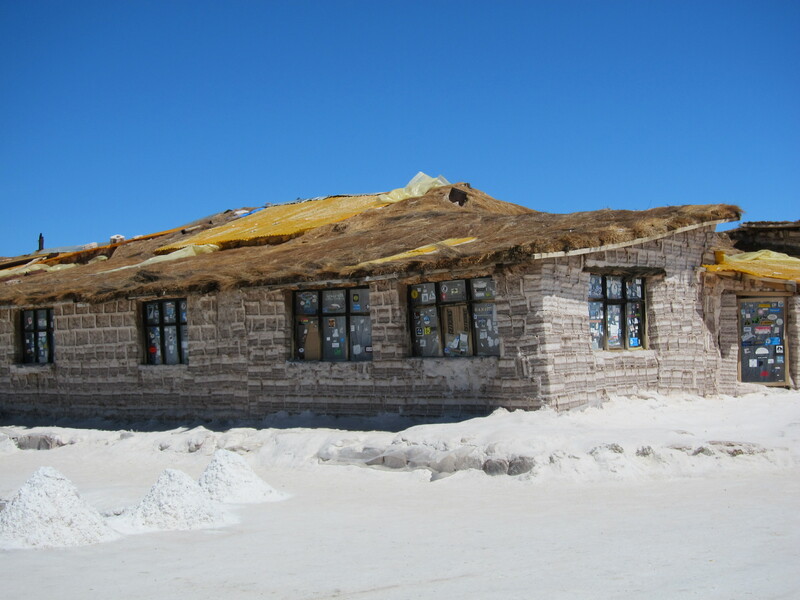 We traveled by bus to Oruro and then by train to Uyuni, arriving VERY late and trying to get some chicken for supper. 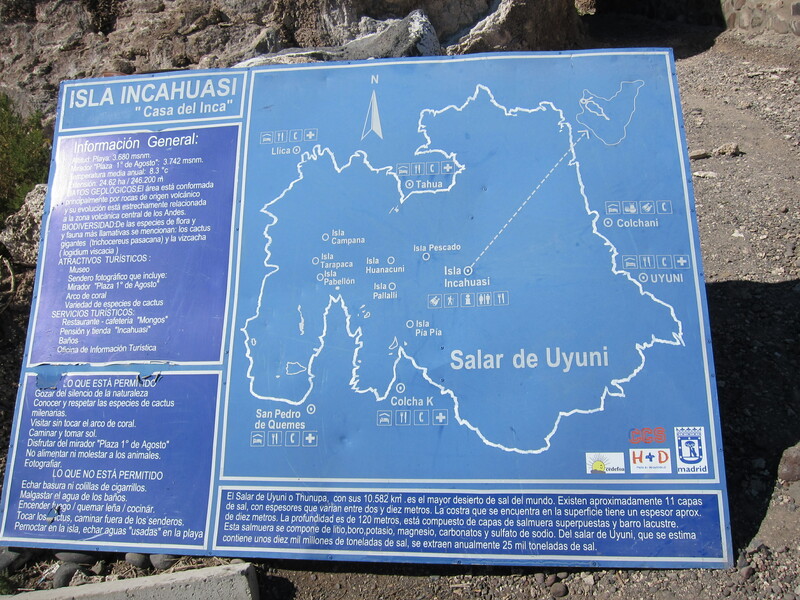 In the meantime, one of our students who had troubling breathing in La Paz because of the altitude was having more trouble in Uyuni. So Debbie and another student took her to the clinic to get some oxygen. After many phone conversations home and talking between us, we decided that I would take this student on to Sucre a day early in the hopes that the lower altitude would help her feel much better. 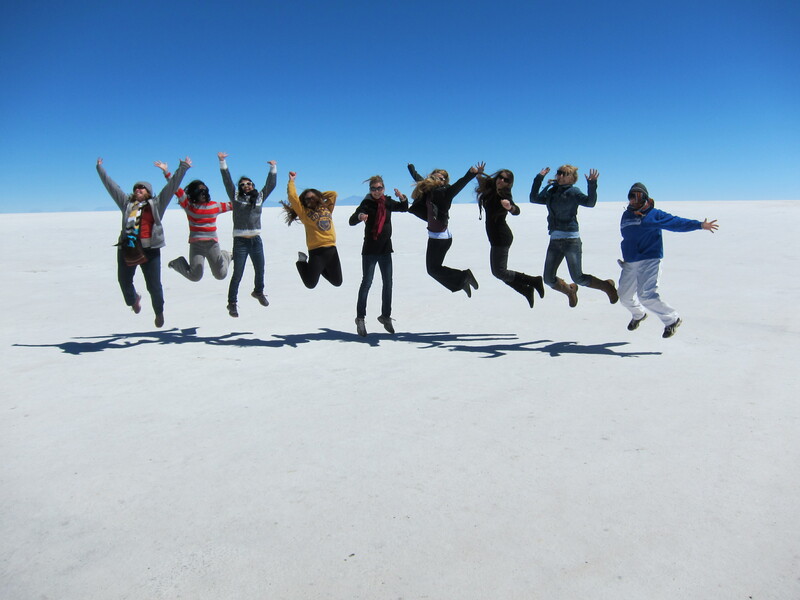 Before we left though, we were able to spend a day in the Salt Flats with the rest of the class. The flats were so bright it looked like a snow covered paradise. The sky was crystal clear and the whole day was an adventure! 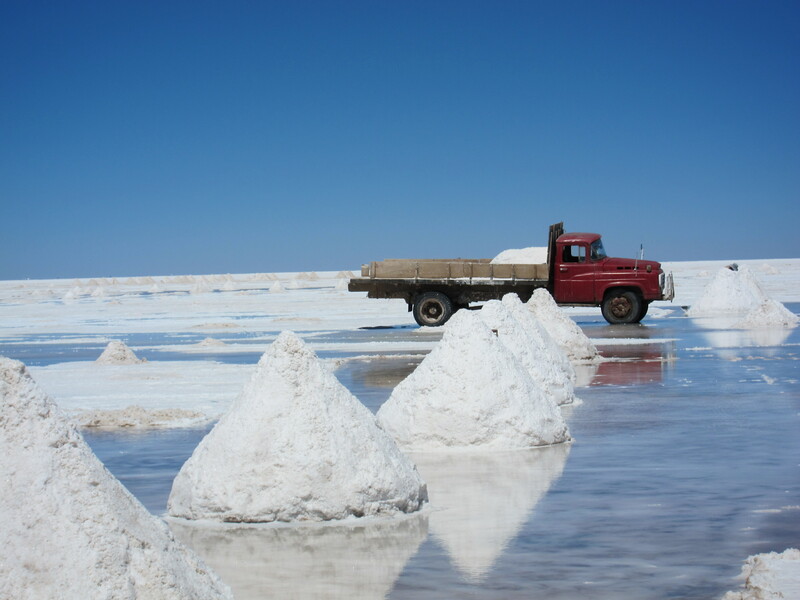 To get the salt, the people will come and pile it up, leave it for a few days for the water to drain out, and then shovel the piles into the back of a truck. 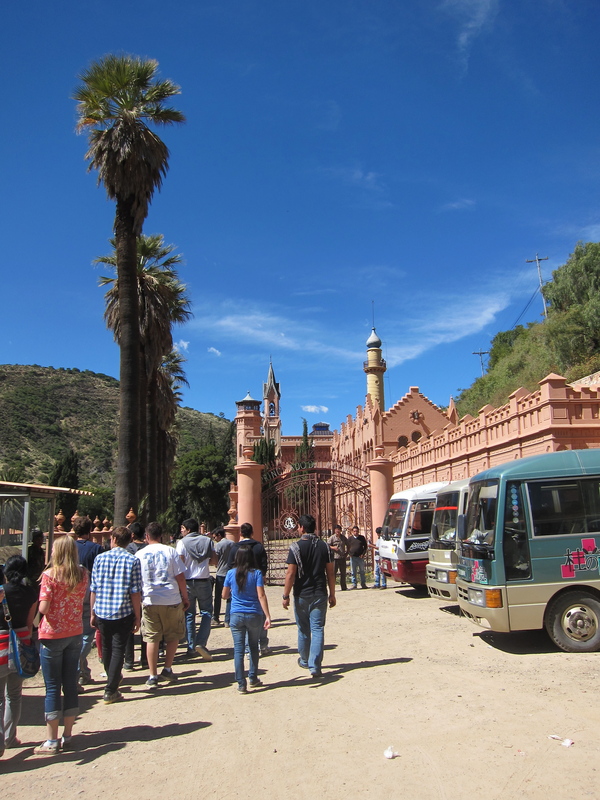 On our tour in SUVs, we also saw a salt hotel and the flags of many different visitors. It was fun to see the kids look for their “other” home country among the flags. 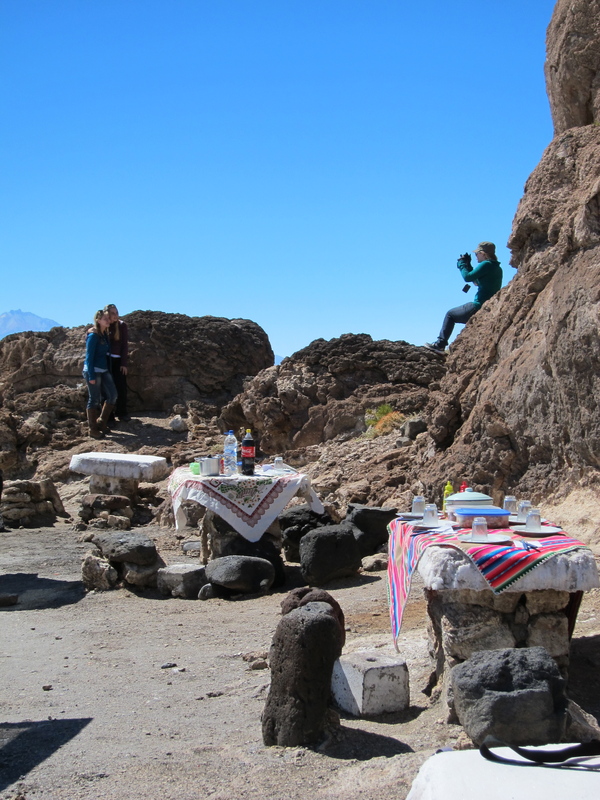 When it was time for lunch, our tour guides took us to a rock island and prepared picnic lunches on salt tables and chairs. 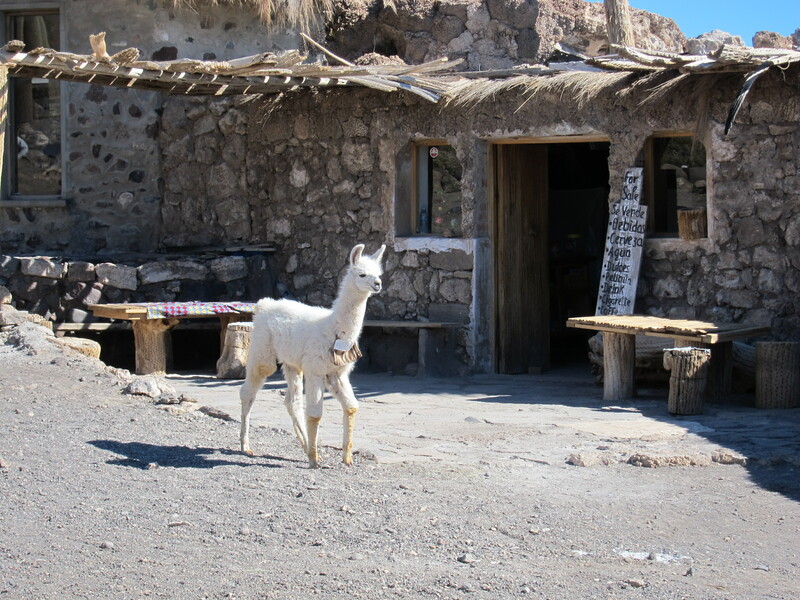 We got to climb around a bit, view more of the surroundings, and even see a baby llama before it was time for my student and I to head back to town. 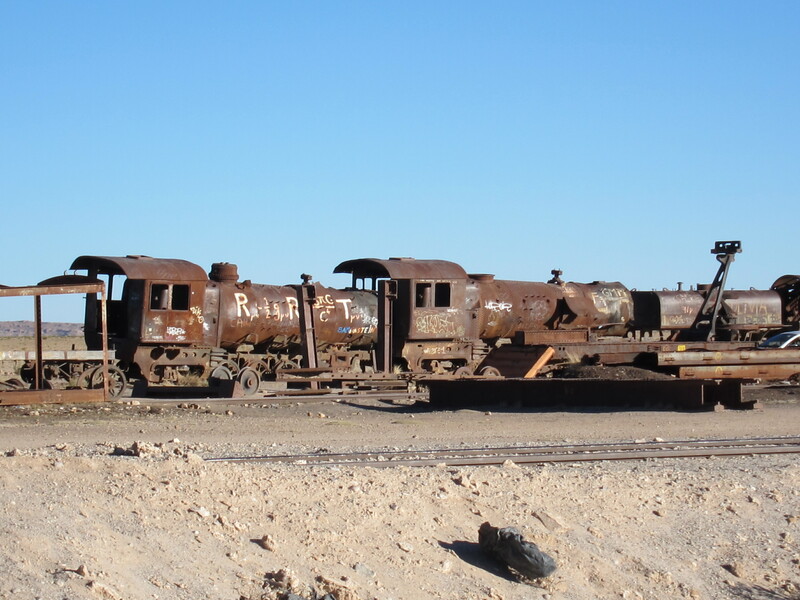 On our way back, Abby and I were able to stop and see a Train Graveyard full of rusted-out engines, cabooses, and other wagons. I would have liked to climb around, but didn’t know how safe the area would be. 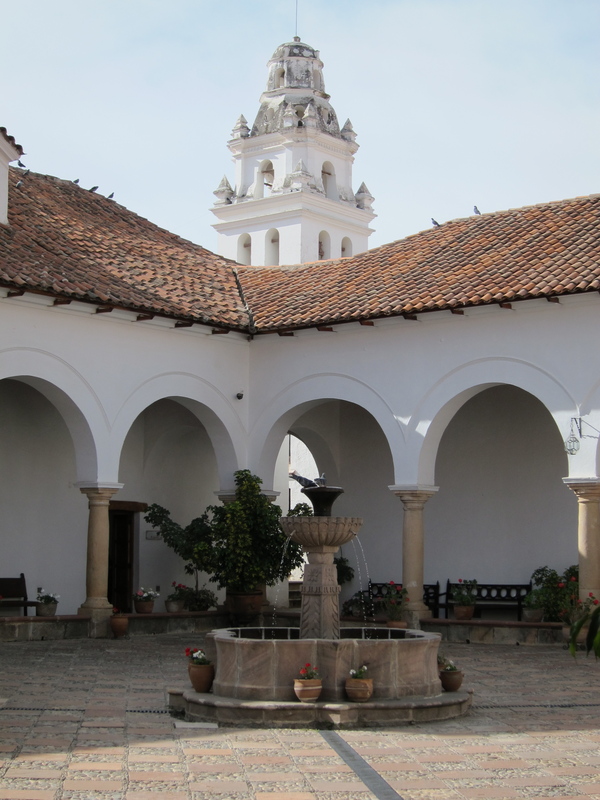 More on Sucre in Senior Trip, Part 3! 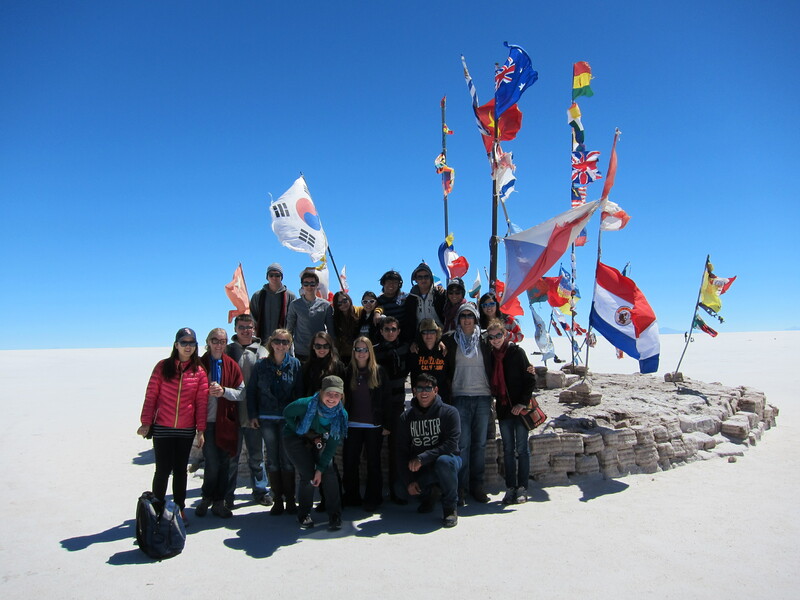 From La Paz to Uyuni to Sucre, Debbie Miranda and I took 20 Seniors and a male chaperone all over Bolivia for their Senior Trip. 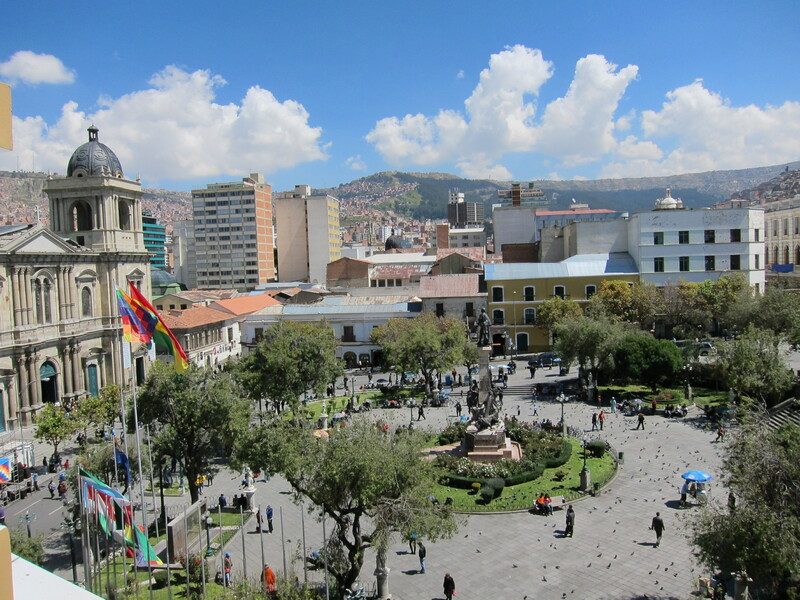 We started on Sunday morning, April 7th by flying to La Paz. 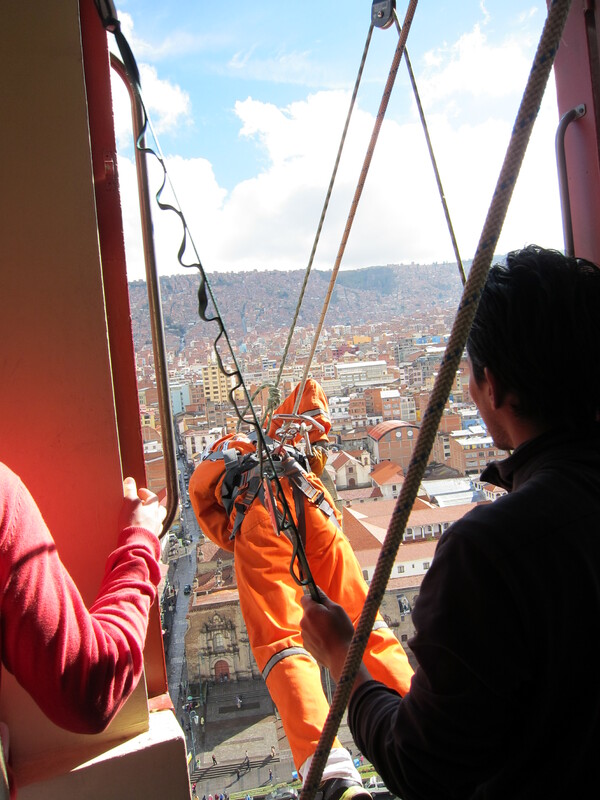 Some of us chose to get acclimated slowly while others chose to go rappelling off the side of our hotel. Don’t worry – those kids had parental permission, and we checked out the company’s equipment before any of our kids got near the ledge. As we finished our time in La Paz, some chose to go paint-balling 🙂 Others of us went to the zoo and the Valle de la Luna. While the paint-ballers had fun, they didn’t have anything like the natural beauty that we got! 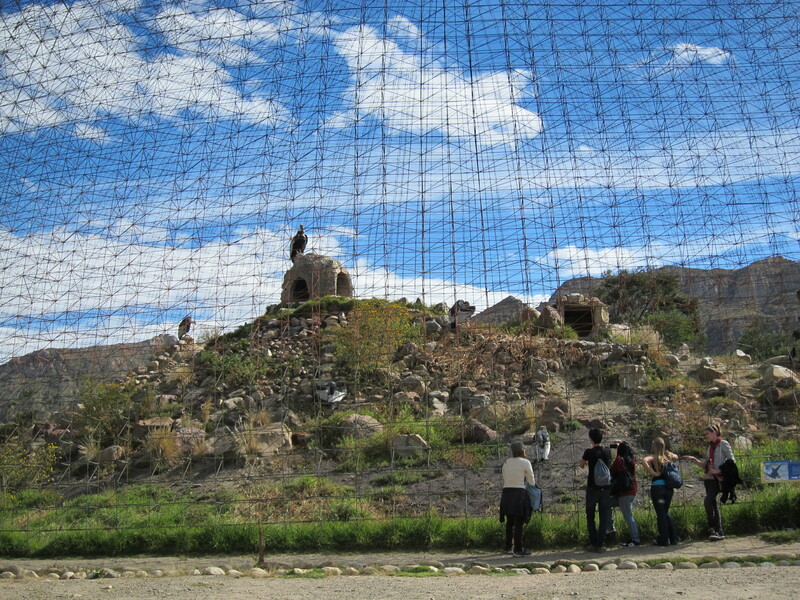 The Andean Condor is Bolivia’s national bird – the Andes make a perfect backdrop, don’t you think? 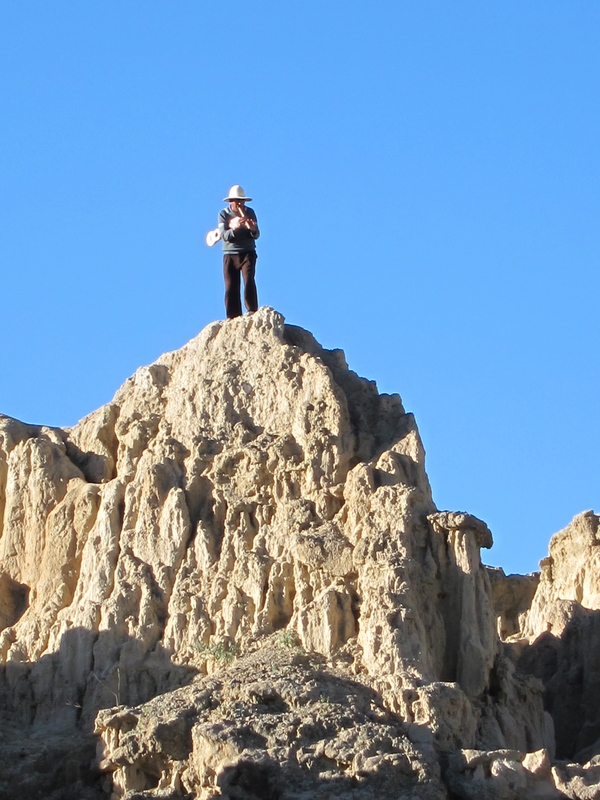 And in the Valle de la Luna (Valley of the Moon) we were serenaded with typical music from an atypical musician. He played and danced and sang on the edge of the rock face. 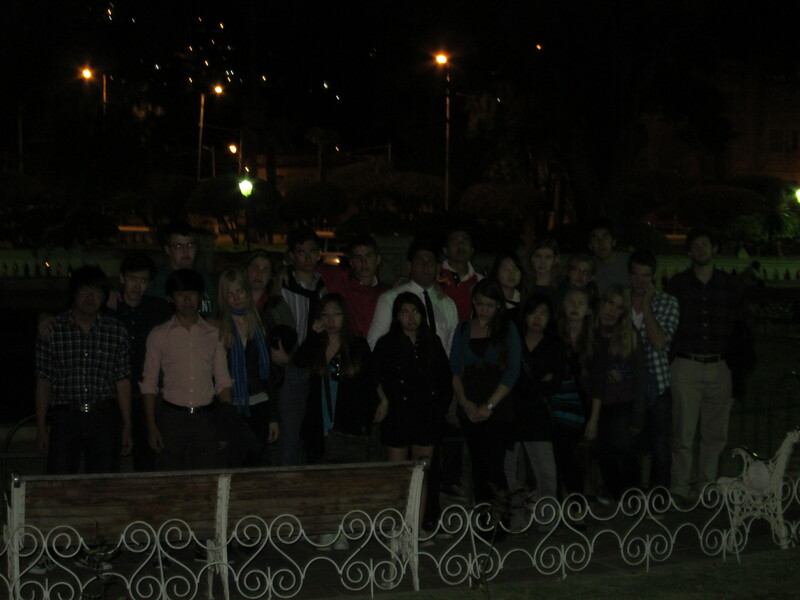 It was amazing.